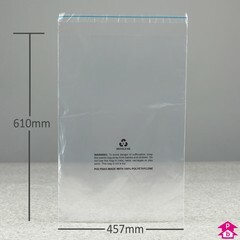 Large self-sealing clear safety bag with air-hole perforations and printed warning safety notice. 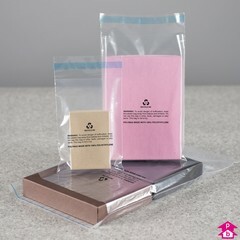 [Conforms to Amazon merchant guidelines for Peel and Seal polythene bags]. Boxed in 250's.